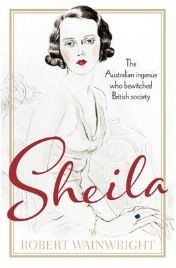 Sheila by Robert Wainwright is the biography of Sheila Chisholm, an Australian later known as Lady Loughborough, Lady Milbanke and Princess Dimitri. Born on her family’s homestead of Wollogorang, two days from Sydney, Sheila met her first husband, Lord Loughborough, while working as a volunteer nurse in Egypt during the First World War. In London, she was an immediate success in society, and remained at the top of social circles in the decades to come. She became Lady Milbanke on her second marriage, and then in later life she married the exiled Prince Dimitri of Russia, ending her days as Princess Dimitri. Prior to spotting this book in a list of upcoming publications from Allen & Unwin, I had never heard of Sheila Chisholm. 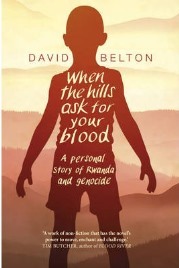 During the Rwandan genocide in 1994, David Belton was working as a producer and director for the BBC’s Newsnight programme, for which he covered the genocide along with a reporter and small crew. He also co-wrote and produced the feature film Shooting Dogs, which was based on real events during the genocide. Twenty years later, he tells his story in When the Hills Ask for Your Blood, revisiting a country trying to recover from those horrific events. He also tells the stories of Jean-Pierre and Odette, a Rwandan couple fearing for their lives and those of their children, and Vjeko Curic, a Bosnian missionary who tried to save as many lives as he could. The genocide in Rwanda is one of the most horrific periods in recent history, the pain of which Rwandans continue to live with. 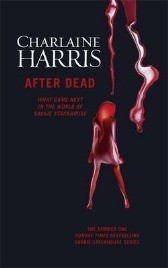 Earlier this year I read and reviewed the final novel in Charlaine Harris’s popular Sookie Stackhouse series, Dead Ever After.I concluded that I was unhappy with the rushed and forced feel to the ending, although I had suspected that was where she was heading after the previous novel. After that, I looked forward to the publication of After Dead: What Came Next in the World of Sookie Stackhouse with a kind of desperation, hoping that not only would it give me one last shot of the characters and stories I had grown to love, but also that it would provide a comfortable closure which had been missing from Dead Ever After. Some time ago I read and reviewed Ms Swart’s debut novel, Liquid Gold. I enjoyed the story and excitement of the novel, but felt that there was improvement to be made, although the author definitely had promise. 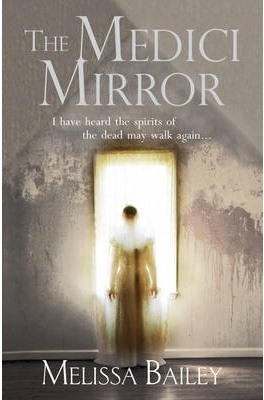 Melissa Bailey’s The Medici Mirror is a novel about an architect, Johnny Carter, who discovers a mysterious mirror in a secret room under the Victorian show factory that he is renovating. The mirror fascinates and worries both Johnny and his assistant Tara, and Johnny’s new girlfriend Ophelia is sucked into its influence as well. The Medici Mirror sounds like an interesting historical mystery; I think time-slip is the correct term, including sections in the past and present. And overall, that is exactly what it is, but unfortunately there are flaws. In the context of the time-slip storyline, the issue is that the sections from the past just don’t fit in. 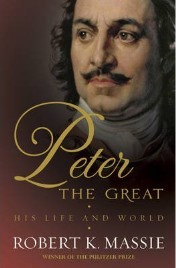 Born in 1672, Peter the Great is credited as being the Russian Tsar who pulled Russia out of the medieval world it was living in, and transformed it into a Westernized empire, becoming a great European power in the process. Peter was the son of Alexis I, by his second wife, and came to the throne after the death of his sickly half-brother Feodor III. Ruling initially as joint tsar with another half brother, Ivan, Peter became sole ruler in 1696. Having spent much time in the company of Europeans in his youth, Peter was determined to turn the Muscovite people into a European nation, and brought in many reforms, including forbidding beards. He expanded Russia’s territories, with wars against the Ottoman Empire and Sweden. He had a huge love for the sea, and turned Russia into a naval power. On land won from Sweden in the Baltic, he built his new capital, St Petersburg, and insisted that the court move there. Peter the Great died in 1725, still issuing decrees to improve Russia. 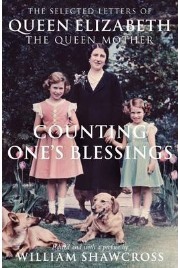 Counting One’s Blessings: The Selected Letters of Queen Elizabeth The Queen Mother is edited by William Shawcross, whose official biography of the Queen Mother was published in 2006.This volume begins the Queen Mother, then Elizabeth Bowes-Lyon, was a young girl, and continues until a few months before her death in 2002. The Queen Mother was a prolific letter writer throughout her life, from her childhood to her time as Duchess of York, Queen Elizabeth, and finally the many years as Queen Mother. She wrote to friends, family, acquaintances, people who worked for the royal family, and people she admired. These letters must have been like a treasure trove for Shawcross while he was writing his biography, and now he has been given permission to publish this volume of them. 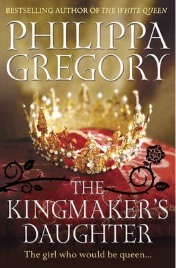 The Kingmaker’s Daughter is the fourth novel in Philippa Gregory’s Cousins War series, which opened with The White Queen, the title of the recent BBC adaptation. Each novel tells the story of one of the women at the heart of the Cousins War, which we know better as the War of the Roses. The Kingmaker’s Daughter is the story of Anne Neville, daughter of the Earl of Warwick, one of the key figures throughout the war. The Earl of Warwick has no son, only two daughters, Anne and her sister Isabel, and so he uses them as pawns in his schemes and attempts to control the power of the throne. Anne is confused by the family’s always changing loyalties, having been taught as a child to call Margaret of Anjou “the bad queen” and then finding herself being married off to her son when her father changes his loyalties from York to Lancaster. 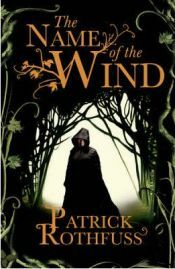 The Name of the Wind is the first in Patrick Rothfuss’s Kingkiller Chronicles. I heard of the author when wishing George R.R. Martin would hurry up and finish the next book in A Song Of Ice And Fire – I googled “authors like GRRM” and found an interview with him asking who fans should read while waiting for him to get his bum in gear – Patrick Rothfuss was one of his answers. The Name of the Wind opens in a village tavern, where the regulars are doing their usual drinking and storytelling. When one of the villagers appears with a strange bundle and an even stranger story, this sets in motion events which bring to light (for the readers) the fact that the innkeeper, known as Kote, is in fact Kvothe Kingkiller. 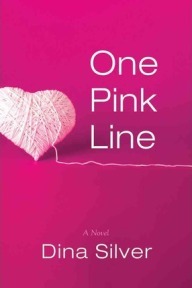 One Pink Line by Dina Silver opens in the early 1990s, when Sydney is about to take her final exams at college and discovers she is pregnant. The novel then goes backwards to when she finished high school, the start of her long term relationship with Ethan, her years at college, and then moves into her pregnancy and beyond. In addition to Sydney’s story, the novel skips ahead to her daughter Grace, from the age of ten onwards. One Pink Line is not an action packed novel. The shocks and upsets, the highs and lows of Sydney’s life are the action, and there is something very real about it all. 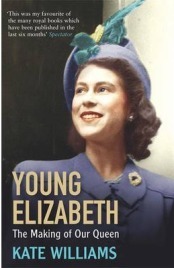 Young Elizabeth by Kate Williams is a part biography of Queen Elizabeth II, covering her childhood, the war years, marriage and the beginning of her reign. I’ve read a lot about the Queen, but am always open to a well written biography, so when the BBC History magazine reviewed and recommended this, I decided it would be worth my while. Born Princess Elizabeth in 1926, she was the first daughter of the then Duke and Duchess of York, and her early years were spent in a cozy and happy family home. That changed when Edward VIII abdicated, and the Duke of York became King George VI. 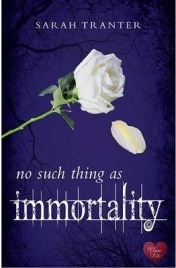 No Such Thing as Immortality is the debut novel by Sarah Tranter. 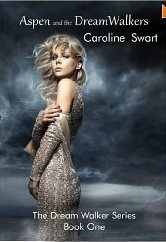 Her publisher, Choc Lit, chose to actively promote it as their Twilight; given the inevitable comparisons between it and any vampire romance novel, perhaps it makes sense for them to embrace the similarities instead of trying to deny them. No Such Thing is told from the point of view of the vampire. Nathanial Gray, Nate, is around two hundred years old, almost indestructible, with perfect senses and coordination. Until the night when he crashes his car into Rowan Locke’s car. Suddenly he finds himself experiencing emotion for the first time in two centuries, and can’t stop thinking about Rowan.